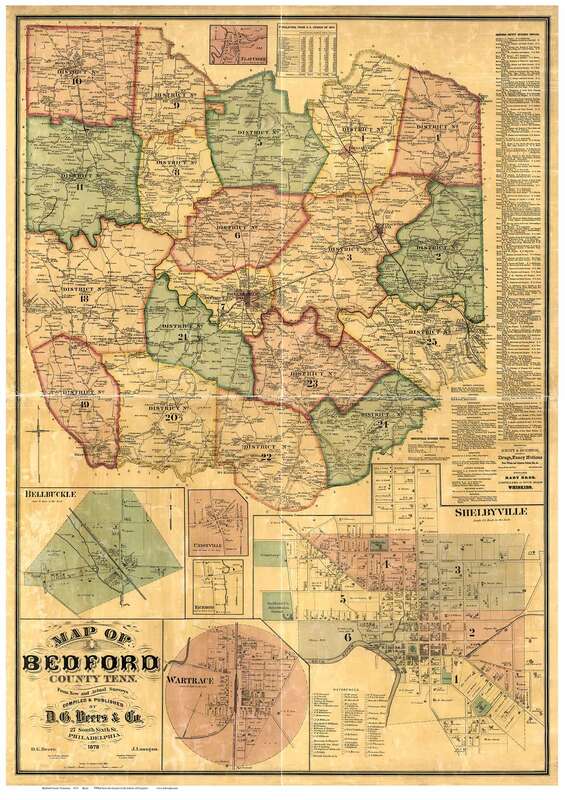 Click the button below to add the Bedford County Tennessee 1878 - Old Map Reprint to your wish list. Author - D.G. Beers & Co. Academic Title - Map of Bedford County, Tenn.